Factions is built around matches fought between factions (such as Demacia or Noxus) using faction-specific Champion lists. Anyone may start an unscored Intermission match at any time. Intermission matches use special rosters that are more generous than usual. Amumu is Primary for Shurima. Fizz is Primary for Bilgewater. Kennen is Primary for Ionia. Ziggs is Primary for Piltover. Bandle City excels at midgame AoE-stacking teamfights. Part III: Discord. Bandle City came in second place out of four. It was the first major civilization attacked by the Void swarm. Part V: Hextech Revolution. Bandle City came in third place out of four. It forged an alliance with Piltover and refueled the Mothership for a flight to the moon. Katarina is Primary for Noxus. Twisted Fate is Primary for Zaun. Jax is Primary for Ionia. Sivir is Primary for Shurima. Janna is Primary for Piltover. Bilgewater has a very well-balanced (though small) roster. Part IV: Shon-Xan. 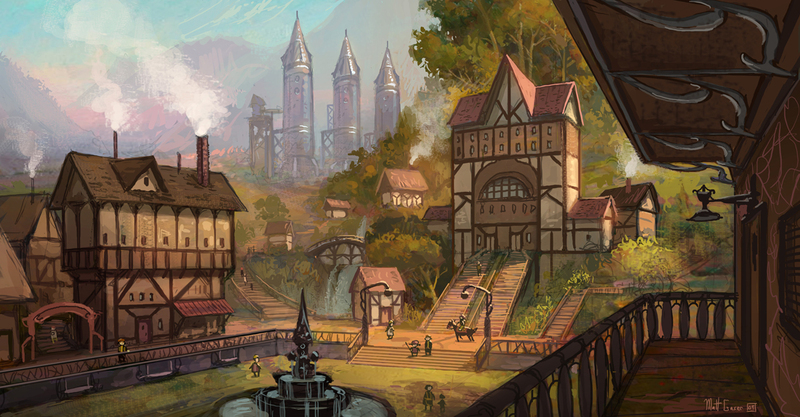 Bilgewater mercenaries were briefly involved in the Shon-Xan dispute, when the League adjudicated ownership of Shon-Xan’s port. In that tournament, each side was allowed to bring in up to one Bilgewater Champion per match. Part VI: Nyroth. Bilgewater held first place for most of this arc, before dropping to second in the final weeks as Ionia rallied. Poppy is Primary for Bandle City. Nasus is Primary for Shurima. Demacia excels at early-to-midgame all-in teamfights. Part I: Mirrorwater. Demacia came in fifth place out of five factions in the Mirrorwater dispute. Part II: Ceruleana. Demacia won the Ceruleana storyline, gaining both the mystical island and the favor of its eponymous supernatural guardian. Part III: Discord. Demacia came in fourth place out of four factions in Discord. Part IV: Shon-Xan. Demacia did not directly participate in the Shon-Xan dispute between Noxus and Ionia, but it was granted permission to deploy its navy to defend Ionia’s shores. Part V: Hextech Revolution. Demacia took second place out of four factions in the Shuriman Dispute. It was heavily sanctioned after deploying its army to seize Zaun’s pyrikhos mines by force. Gnar is Primary for Bandle City. Quinn is Primary for Demacia. This is what a teamfight against the Freljord feels like. SLOOOOOOW DOOOOOOOOOOOWN. Part I: Mirrorwater. A united Freljord was victorious in the Mirrorwater dispute. Part II: Ceruleana. The Freljord came in fourth place out of six factions in Ceruleana. Part VI: Nyroth. 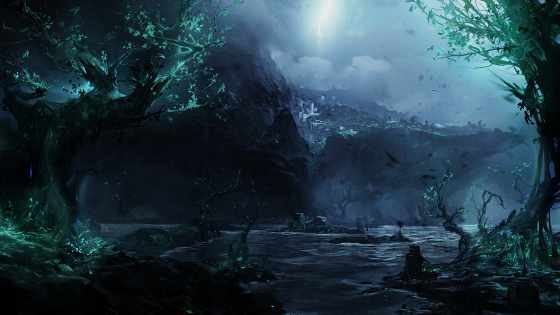 The Freljord came in third place, but held second place for most of the arc, and made the crucial decisions regarding the nexus in the center of Yoroth. Sona is Primary for Demacia. Udyr is Primary for the Freljord. Syndra and Zed were dropped from the initial Intermission rosters, owing to their rather violent past opposition to the Ionian state. Ionia has very high mobility. Depending on the particular teamcomp it fields, it can also bring significant poke or teamfight potential. Part I: Mirrorwater. 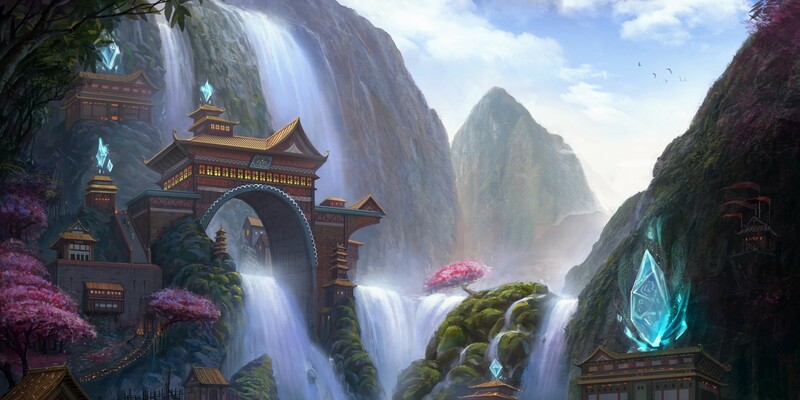 Ionia came in fourth place out of five factions in the Mirrorwater dispute. Part II: Ceruleana. Ionia came in fourth place out of six factions in the dispute over Ceruleana. Part VI: Nyroth. Ionia hovered around third place for most of the arc, only to win in a final surge during the last few weeks. During Intermission, Noxus gets both Riven and Singed. Dr. Mundo, Singed, and Warwick are Primary to Zaun. Sivir was removed on objections that she “ditched Noxus in the initial invasion of Ionia and then got stabbed in the back by a lead aristocrat”. The more lore comes out, the weaker her Noxian connections get. We also have never really featured her in Factions, so there’s no basis in prior storylines for her being on Noxus. So, she’s been removed from the current intermission roster. Blitzcrank and Zac are Primary to Zaun. Corki is Primary to Bandle City. Zilean is Primary to Shurima. Riven is Primary to Noxus. Maokai is trying to restore part of the Shadow Isles. He could conceivably end up on the SI roster in an arc. Again, note that Intermission Rosters are more generous in some respects: a Champion with a strong thematic fit like Maokai, and a plausible if nuanced story hook, can make it on. Amumu is Primary to Shurima. Sion and Urgot are Primary to Noxus. Before Kalista’s arrival in the League, the Shadow Isles had no real ADC, outside of Urgot, who arguably isn’t a real ADC either. (Poor Urgot.) So far, the Shadow Isles has been in two arcs, Ceruleana and Nyroth, and in both cases ended dead last, by a considerable margin. 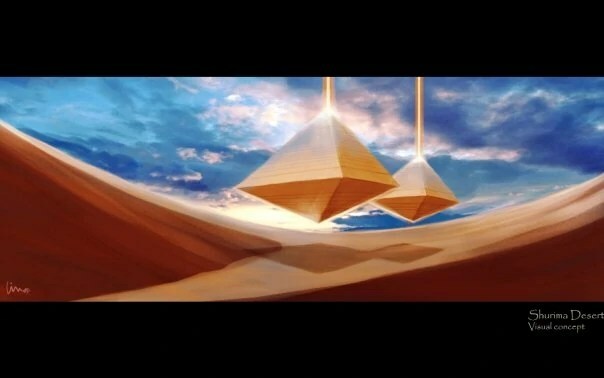 The mysterious Shurima Desert has not yet truly asserted itself as a faction, but there is talk that this could change. If Shurima were to be selected, it would be essentially a “blank slate” faction that the Champions involved would have to try to build up. Maybe they could join forces with Nefara to create some sort of creepy undead civilization. Maybe they could restore its original splendor and invite others to come settle it. It would all be especially awkward given that the League has just finished carving up most of Shurima’s territory. Nobody freaking lives there. Not yet, anyway. Cassiopeia is Primary for Noxus. 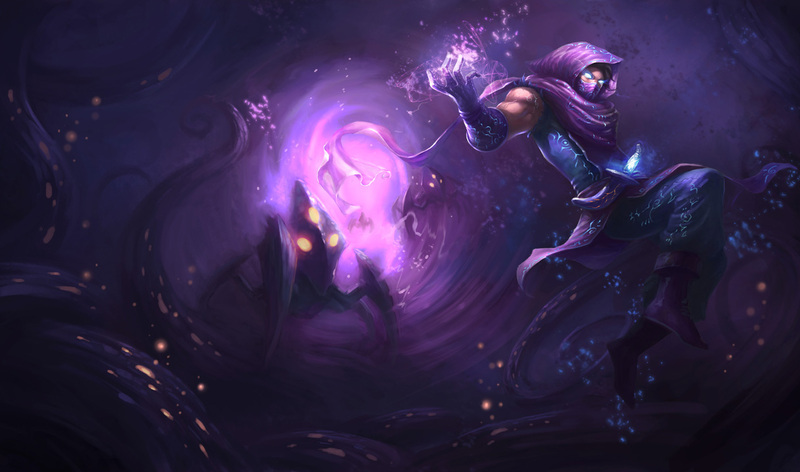 Malzahar and Rek’Sai are Primary for the Void. Ezreal is Primary for Piltover. Shurima has not yet been in a Factions arc, and so it remains to be seen what kind of gameplay characteristics it might have. Shurima has not yet been in a Factions arc as a playable faction, though it was the setting for Part V: Hextech Revolution. The Void is a very unusual faction in that its core roster spans only six Champions, just barely enough to form a team. Despite this, it has shown tremendous split push power. Part III: Discord. The Void won the Discord arc, with some assistance from the Shadow Isles. The Void monsters once imprisoned by the League are now free, and roam Icathia. The League has been forced to recognize the Void itself as a faction. Renekton and Xerath are Primary for Shurima. Urgot is Primary for Noxus. Zaun has a very tanky lineup, which gives it significant early-game teamfight power. Part V: Hextech Revolution. 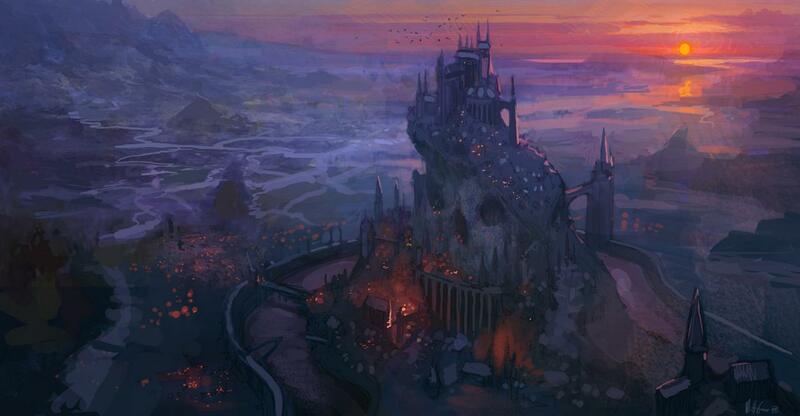 Zaun came in first place among four factions in the battle for control of the dark sand.